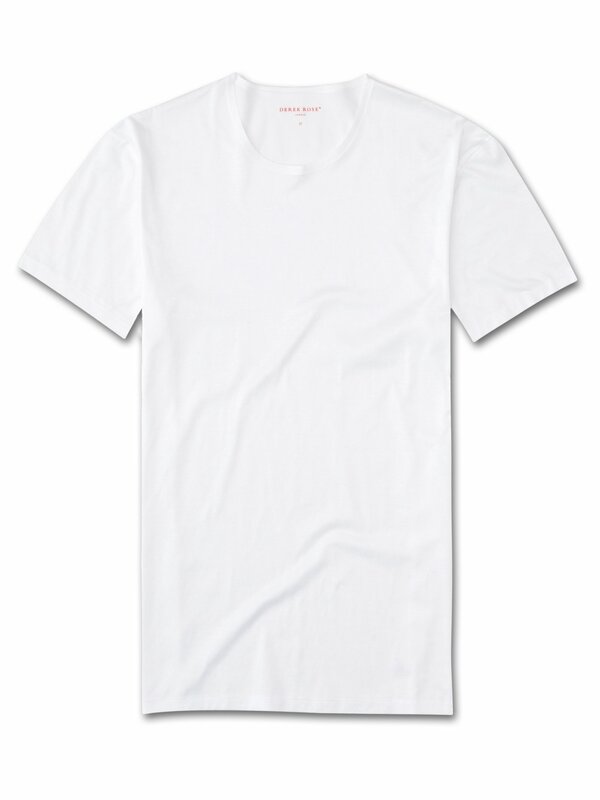 The Lewis White Double Mercerised Cotton Crew-Neck Tee is understated, ultra-soft and incredibly comfortable. This wardrobe essential is close fitting, with short sleeves; lending itself perfectly to layering. For a winning combination of comfort a flattering fit, we've designed this tee with a long body so it finishes at the top of the thigh for better coverage. We chose a super-soft binding to finish the neckline and secured the hems by manual welting — all part of our quest for a minimalist, streamlined look and the ultimate in softness and comfort. Superfine threads ensure a reliably comfortable and understated tee, guaranteed to be a refreshing addition to your underwear collection.